Apart from encrusting, fixed-erect, and flexible-erect colonies, there are two other main categories. One is free living (vagrant), that is, the colony is unattached to the substratum and, owing to bristle-like avicularian mandibles around the periphery of the colony (cap- or discus-shaped), has the power of mobility (lunulariids, otionellids, and selenariids). One other distinctive category is that of shell-borer/shell-eroder (found among several families of Ctenostomata). None has yet been reported from the GBR but they must exist. Their small size, transparency, and cryptic habit render them easily overlooked, however. For the entire GBR Province, 55% of the bryozoan species are two-dimensional encrusters, 20% are flexibly erect, and 15% are firm three-dimensional structures that are rigidly attached to the substratum. These categories of colonial morphology are very broad. They can be subdivided, and more than 20 such categories have been recognised and named (for example, encrusting colonies may be runners, spots, or sheets; erect colonies may be sticks, trees, or fronds). Such categories based on colony form potentially allow for the possibility of paleoenvironmental analysis, but it must be said that correlations between morphology and environmental conditions in the literature have typically been inferential and not backed up by experimental or ecological observations based on living colonies. For this reason, a new, integrated classification scheme based on growth-habit characteristics and the disposition of modules (zooids) has been developed to allow a testable common ground for systematic comparison of character states among varied bryozoan growth habits. 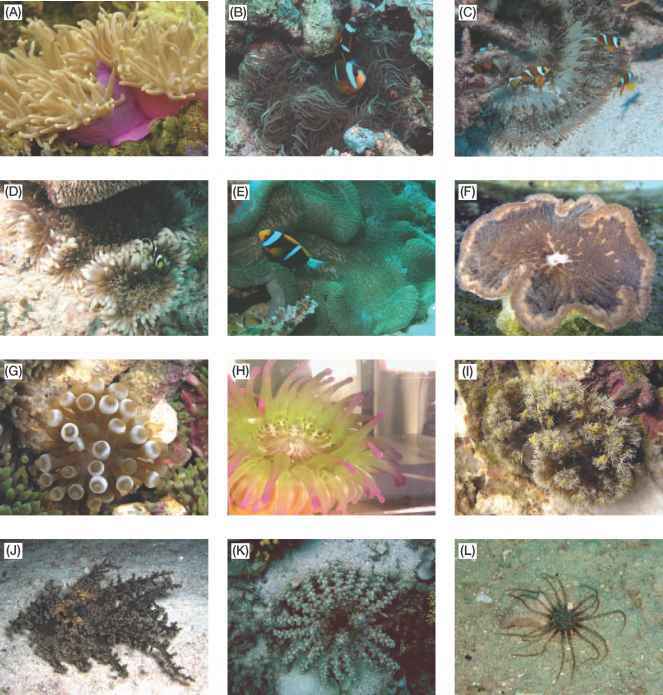 It would be fruitful applying this system to the varied range of colony forms represented in the GBR Province.